For this installment in the Fancations series of vacations, we’re heading to the city where crab cakes and baseball go hand-in-hand: Baltimore. Nicknamed Charm City, this vibrant city is home to the renowned Maryland crab cake and baseball’s most legendary baseball hero, Babe Ruth. 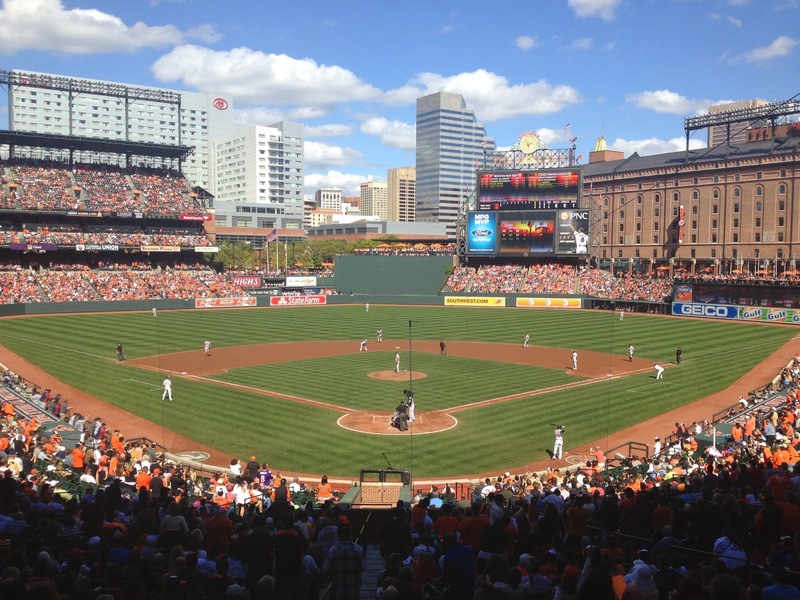 For a relatively new stadium, opened in 1992, Camden Yards is full of history. 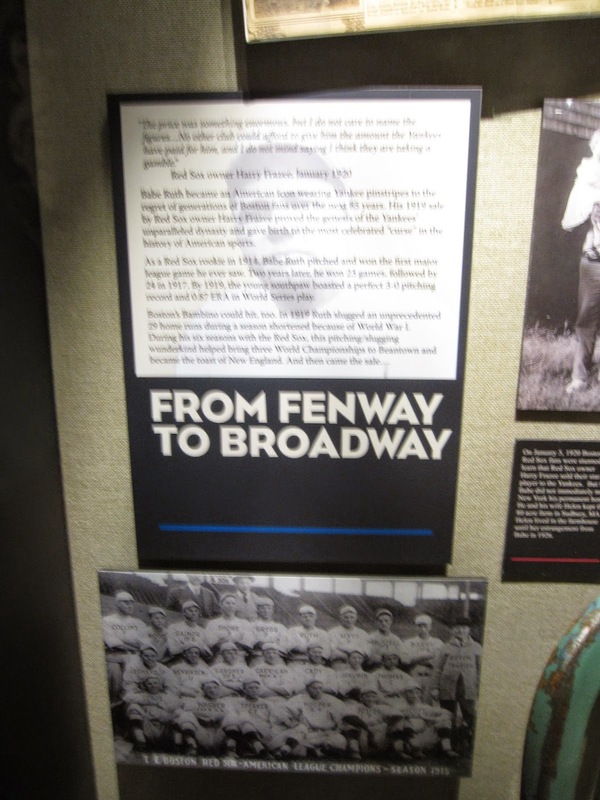 Standing a mere two blocks away from Babe Ruth’s birthplace, the attractive stadium was built on land where Babe Ruth’s father’s saloon once stood. Ruth’s legacy lives on through “Babe’s Dream,” a bronze statue of the great ball player, located at the northwest corner of the ballpark at Eutaw and Camden streets. Camden Yards sits on the former site of a Baltimore & Ohio Railroad hub of the early 1900s, and the original B&O warehouse still stands beyond right field as a reminder of the area’s rich history. An instant success, Oriole Park is a retro stadium that takes the best of legendary ballparks like Ebbets Field and Wrigley Field while building in modern conveniences. Note the brick design that hearken back to stadiums past. 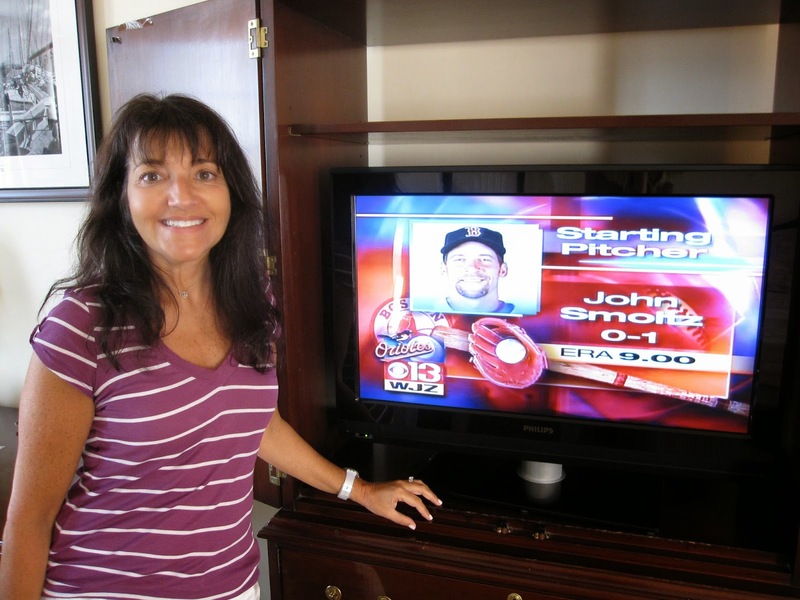 Walk through the dugout during a stadium tour, with a stop at Sports Legends Museum to learn more about the greatest players in baseball history. 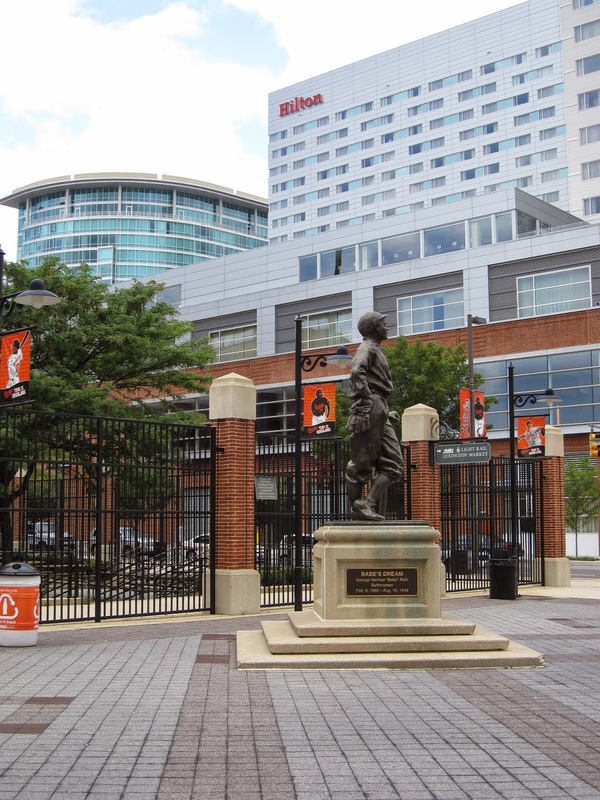 Be sure to check out the small plaques along Eutaw Street that show where home runs have landed. There are always special ticket promotions going on, and if you’re traveling with the family check out Kids’ Night, when all kids get free admission. Game tickets can be purchased here. If you’re lucky enough to score a club seat, you’ll have access to an inner BBQ buffet and bar area, especially welcoming when temperatures skyrocket at the park. Where to eat in Camden Yards: Boog’s Barbeque serves up mouthwatering BBQ, a guaranteed crowd pleaser at the ballpark. Try one of Boog’s savory pit beef or turkey sandwiches, consistently ranked among Top Ten lists of signature ballpark food items. Stop by between innings for the chance to meet the man behind the grub, Boog Powell, a former first baseman. After the game, plenty of sightseeing opportunities await you throughout Charm City. 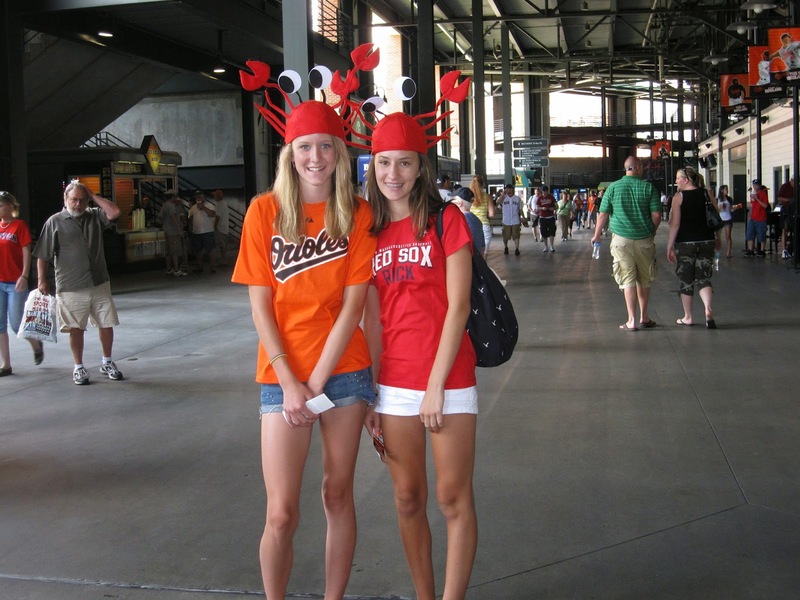 Just a 12-minute walk from Camden Yards, the Inner Harbor Waterfront Promenade offers lots of shopping and sightseeing opportunities. At the Harborplace and The Gallery, you’ll find a wide range of well-known stores as well as local boutiques. The Harborplace also hosts various concerts and street performances year-round. Open Monday-Saturday 10am-9pm, Sunday 12pm-6pm; 200 East Pratt Street. 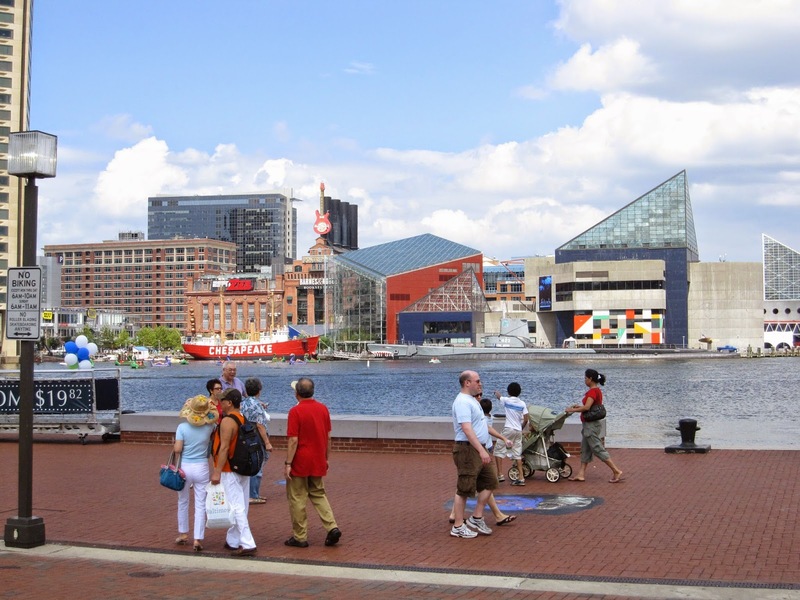 Transformed from an industrial workplace into a cultural center in the 1970s, Baltimore’s Inner Harbor has become increasingly tourist-friendly, and plans to make the water swimmable over the next few years will undoubtedly attract more visitors. Until then, visitors can rent a paddleboat at the harbor’s Pier 1 to explore the area. Keep an eye out for the giant neon Domino Sugar sign, a recognizable fixture in Baltimore’s skyline. From September 10-16, Baltimore will host the Star-Spangled Spectacular, to celebrate the national anthem’s 200th anniversary. This iconic piece of American history was written by Francis Scott Key in Baltimore’s Inner Harbor. Festival highlights will include a 7000-person Star-Spangled Banner Living Flag, performances by the Blue Angels and the 200th March of the Defenders from Patterson Park to Battle Acre Park in Baltimore County. A star-studded concert on September 13 will feature Kristen Chenoweth, Little Big Town, Pentatonix and a surprise guest. All events are free of charge and open to the public. The full event schedule can be found here. For a “living” museum experience, visit the Historic Ships in Baltimore, an impressive collection of military vessels used from the mid-19th century to the mid-1980s. The museum consists of four docked historical ships and a lighthouse, which you can explore first-hand with the help of a complimentary audio tour wand. Various artifacts and personal effects left behind from crew members give a glimpse into life at sea aboard the well-preserved USS Constellation, US Submarine Torsk, US Coast Guard Cutter Taney and the Lightship Chesapeake. Also visit the Seven Foot Knoll Lighthouse, which marked the entrance to Baltimore Harbor for more than 130 years. Visitors can assume the role of a crew member by participating in a gun drill and may even meet a former crew member. Begin the tour at Pier 1, 301 East Pratt Street; 410-539-1797. Located across the street from the Harbor, The American Visionary Art Museum houses quirky art exhibits from around the world and sponsors numerous family-friendly activities. Open Tuesday-Sunday from 10am-6pm; 800 Key Highway; 410-244-1900. North of the harbor, in Baltimore’s Mount Vernon neighborhood, is the Walters Art Museum. Here you’ll find a dynamic collection of nearly 30,000 pieces of artwork, including treasures dating back to pre-dynastic Egypt. Exhibits including “Seeing Music in Medieval Manuscripts,” a collection of 20 objects that explore music’s influence and relationship to the arts during the Middle Ages are popular draws. Open Wednesday-Sunday from 10am-5pm; 600 N. Charles Street; 410-547-9000. Ride the Baltimore Water Taxi for a scenic transfer among several of Baltimore’s most popular attractions. Transporting passengers to the Aquarium, Science Center, Fells Point and Fort McHenry, the water taxi is a great way to sightsee while in transit to your next activity. For the most up-to-date schedule and hours of operation, visit here. Climb aboard the Annapolitan II for a narrated cruise around the harbor with Watermark Cruises. 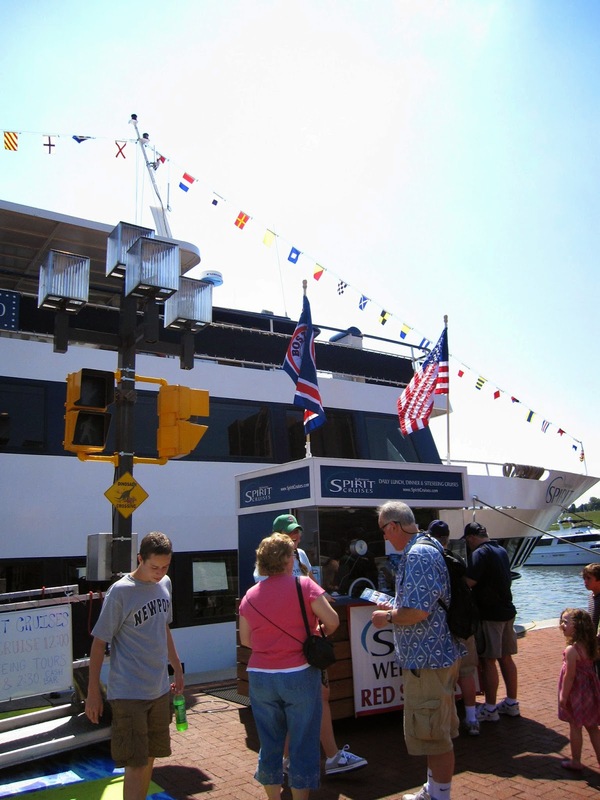 The 45-minute Inner Harbor cruise introduces you to the Inner Harbor’s most historic attractions. The National Anthem Tour by Sea gives an hour-long introduction to Maryland’s noteworthy role in the War of 1812 and how the state contributed to our nation’s independence. For gorgeous views of the illuminated Domino Sugar sign at twilight, hop on the Saturday City Lights Cruise. Ten blocks north of the Inner Harbor is the Washington Monument, where visitors can climb 228 steps to the top to enjoy panoramic city views. Take a tour of the Fort McHenry National Monument and Historic Shrine and meander through the battleground that is credited as the birthplace of the National Anthem. The park is open daily from 8am-5pm; Star Fort and Visitor Center open daily from 8am-4:45pm; 2400 East Fort Avenue; 410-962-4290.
night in one of the Historic Hotels of America. 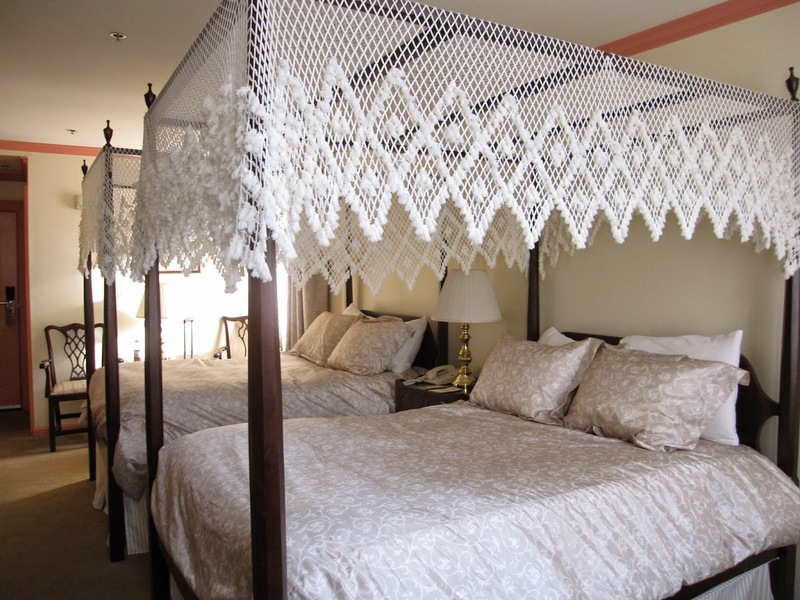 The inn dates back to the 1770s and is located right in the heart of Baltimore’s picturesque Fells Point. There’s always something going on at the Inn, from historic ghost tours to the Admiral’s Tea and Historic Storytelling. The Inn’s two on-site restaurants, Meli Patisserie & Bistro and Tapas Adela, offer fine dining options perfect for an afternoon pick-me-up or a sit-down dinner. 888 South Broadway, 410-522-7380. Catch some great deals during your stay at the Admiral Fell Inn. 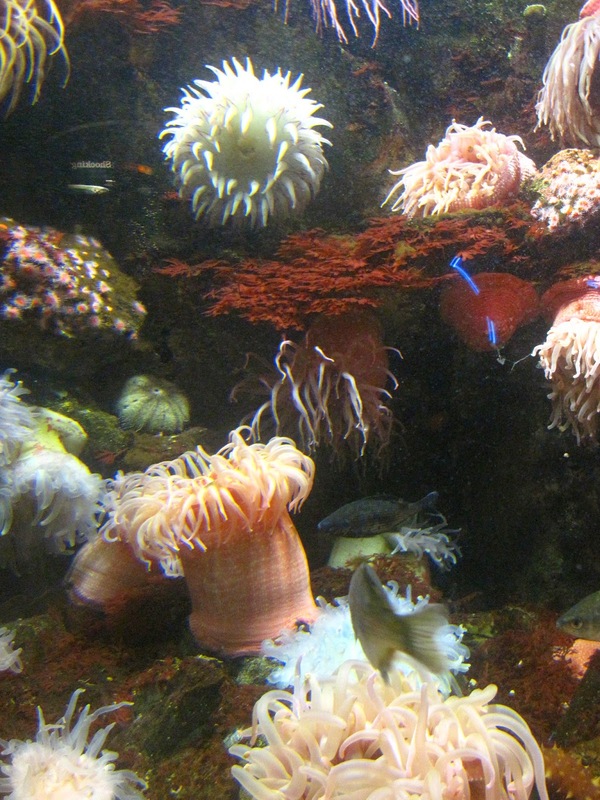 The hotel offers guests VIP entry and discounts at several of the area’s attractions, including the wonderful National Aquarium and the Maryland Science Center. Maryland Science Center hours: Open Tuesday-Friday 10am-5pm, Saturday 10am-6pm, Sunday 11am-5pm; 601 Light Street; 410-685-2370. 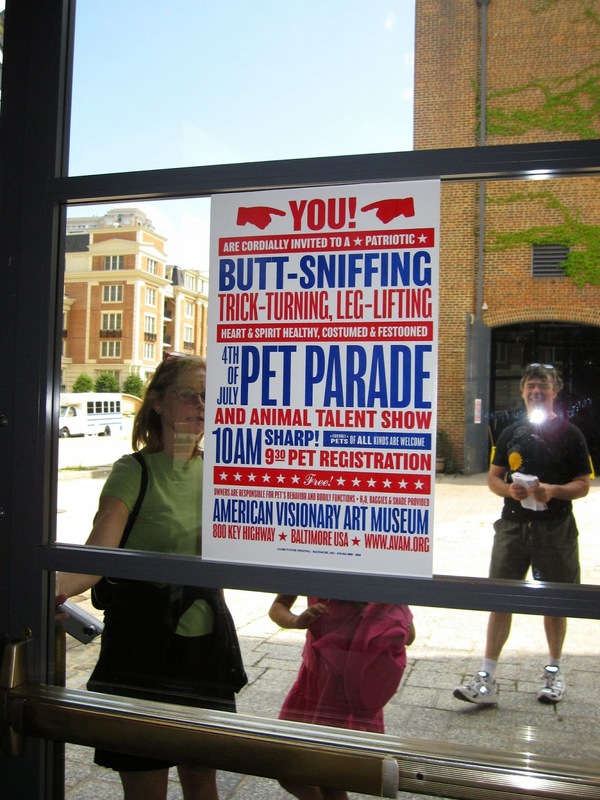 During your stay, spend an afternoon in the Fells Point Historic District. Lining the cobblestone streets are refurbished and replicas of original 18th- and 19th-century homes and storefronts. A stroll through this quaint waterfront community will bring you to a plethora of shops, restaurants and bars. Any trip to Baltimore would be incomplete without a hearty helping of the famous Maryland blue crabs. Founded in 1886 and still standing in its original Lexington Market location, Faidley Seafood is known for serving traditional seafood with a twist. 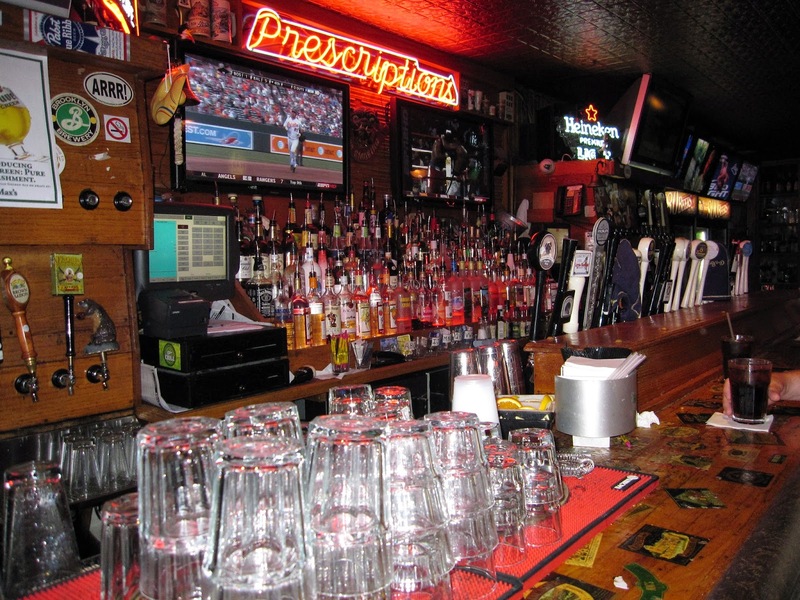 The casual atmosphere and the award-winning crab cakes make Faidley’s the ideal place to grab a quick bite. Dozens of other vendors in Lexington Market provide sweet and savory meal options. Open Monday-Saturday 8:30am-6pm; 400 W. Lexington Street; 410-685-6169. Or dine outdoors and admire the elegance of the Inner Harbor at the famous Phillip’s Seafood. 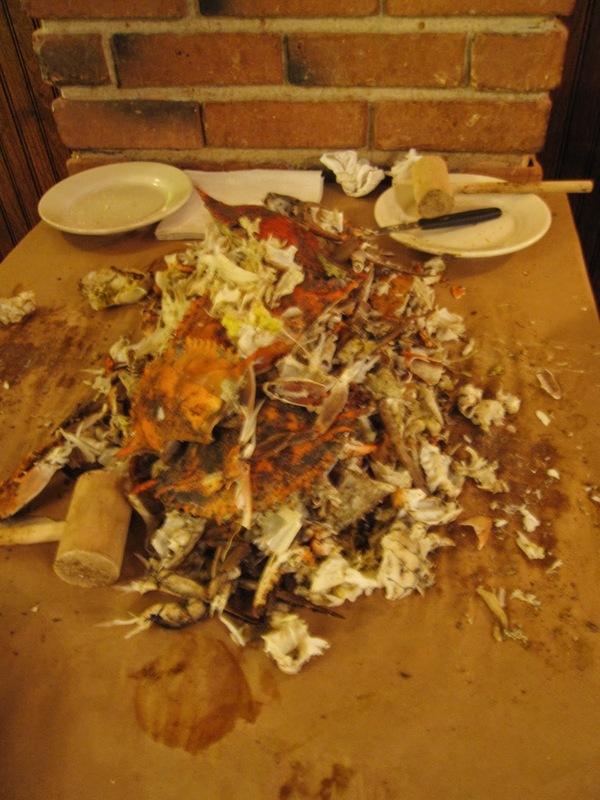 You can buy a box of their famous Old Bay seasoning to recreate your Baltimore seafood memories at home. Open Sunday-Thursday 11am-9pm, Friday-Saturday 11am-10pm; 301 Light Street, Baltimore, MD 21202; 410- 685-6600.